The Googan Squad Fishing line is finally here! – Cast further, fish longer, and feel more confident in every cast you take knowing that you’re spooled up with the best line in the biz created by the legendary Googan Squad. 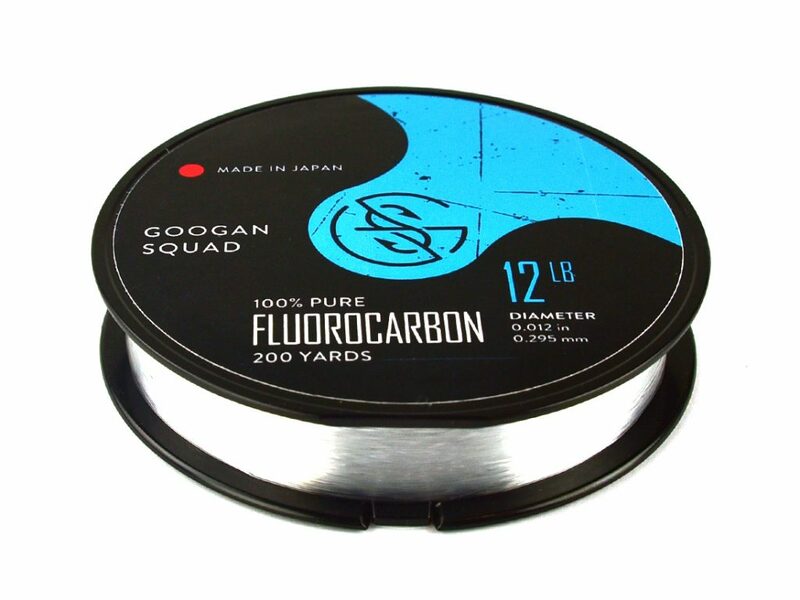 Our team, the Googan Squad, and a high-end line manufacturer worked tirelessly to create what is possibly the best-valued fishing line on the market today. Learn how, when, and, why to effectively fish with all three types of the Googan Squad Fishing Line. The silky smooth Googan Braided Line is comprised of 8 strands of high-quality Dyneema fibers. All braided line is made up of small individual strands that are woven together tightly to produce a strong, dependable fishing line. Standard braid usually consists of 4 strands while the Googan Squad Line is made up of 8 strands. The added strands help make each spool of line smoother, stronger, and easier to manage. 8lb – Excels for shaky head and jerkbait bass fishing. Useful as a leader when fishing with braided line. Also a solid option for walleye fishing. 12lb – All around solid line. Good for crankbaits, spinnerbaits, bladed jigs, Texas rigs and Carolina rigs. 15lb – Perfect when fishing the same baits as above, but around hard cover and/or vegetation. Also better when flipping jigs. Fluorocarbon line and bass fishing go together like Flair and small fish or like Jon B and dope beats. If you’re going to be a bass angler you’re going to need a few spools of Fluoro. So, why not rig up with high quality, long-lasting line that helps you support the Googans? Catch bigguns and fish like a Googan all day long with this legendary Fluorocarbon. 6lb – Great for panfish and trout. Excels on smaller size spinning reels. Perfect for float fishing, spinners, small cranks, and live bait. Ultralight techniques. 8lb – All around solid line. Great for multi-species angling. Strong enough for small Texas rigs, small enough for float fishing and other light options. 12lb – Great option for pond fishing. Texas rigs, soft plastic jerkbaits, poppers, jigs, and lots of other typical bass fishing techniques. Start catching more mondos with the Googan Squad mono! The affordable and versatile monofilament line is ideal for any bass or multi-species angler. The added stretch from monofilament helps absorb the shock while fighting a fish which makes the Googan Squad Monofilament a solid choice when fishing any treble hook baits. In addition to being deadly for largies and smallies, this monofilament will help you fool trout, walleye, panfish and more. 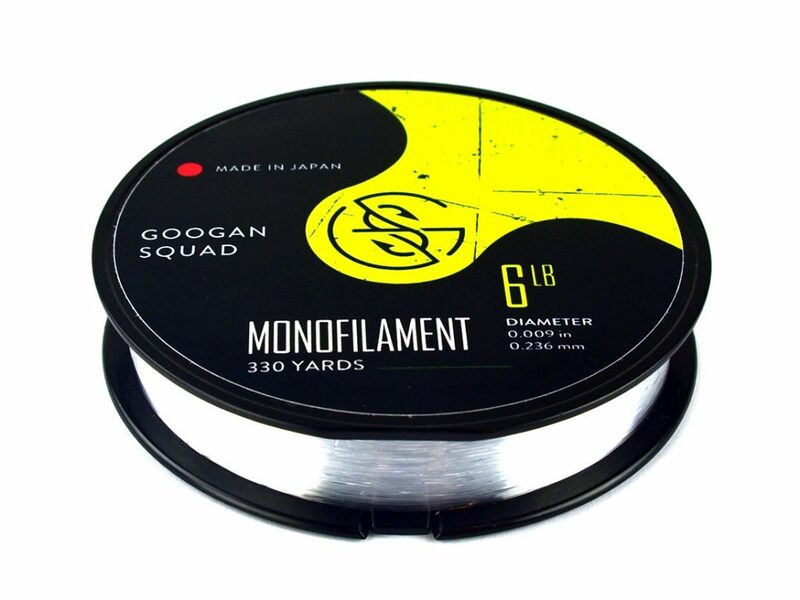 Available in 3 lines sizes, the Googan Squad Monofilament is the best value of all the three line options. Each spool holds 330 yards which should be enough to fill 2-3 of your reels. Why Did The Googan Squad Create Their Own Line? The Googans and the Catch Co wanted a high-end fishing line that they could fish with but also put their name behind and bring to market. 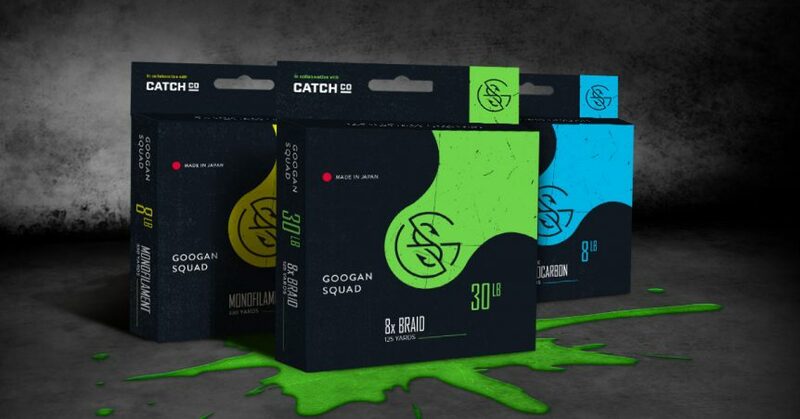 After countless hours of product development, both teams landed on a truly special product, resulting in Googan Squad Fishing Line. Why Is Googan Squad Fishing Line From Japan? Bass fishing is as American as Apple Pie. However, bass fishing in Japan is also popular and the Japanese are known for creating high-end fishing equipment. 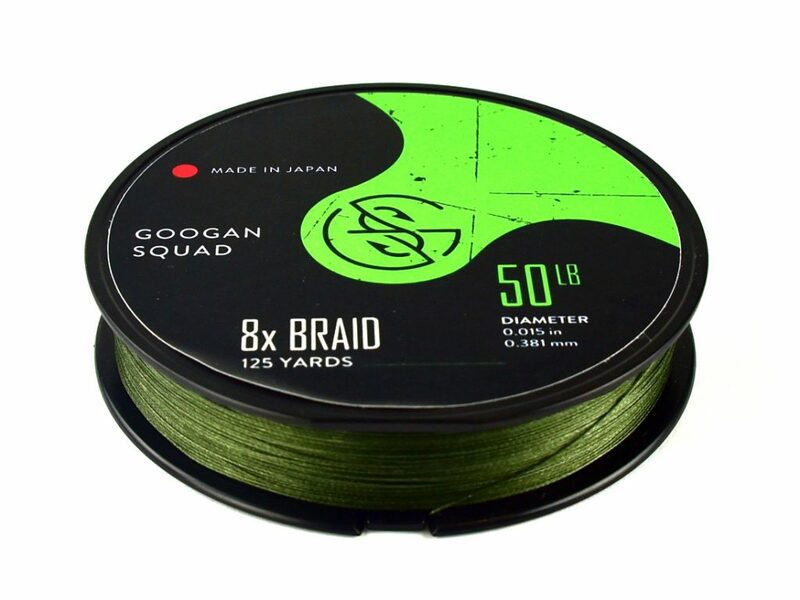 The Googan’s appreciate nice line, Japan creates high-end fishing line and the Catch Co used the direct to consumer model to create a flow from the Japanese line factories, to the Googan Squad, and finally to you. How Does It Compare To Other Lines? The Googan Squad fishing line stands toe to toe with any high-end test available on the market today. We feel confident that this will quickly become your new favorite line. Limited supply was available with the first run and we wanted to test the waters before diving all the way in. More line and line size options are in the works, stay tuned for updates! Will There Be More Catch Co And Googan Squad Products? YES!!! The Googans and The Catch Co are tigity-tight and there are more amazing new products cookin’ up that will go out soonish. Blending the Googans eye for innovation and the Catch Co’s knack for execution makes this partnership limitless.